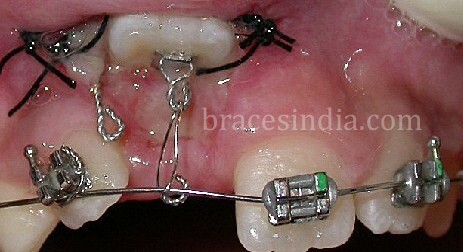 Multi-Purpose Attachment for Direct-Bonded Lingual Retainers article in JCO Sept 2010, Vol XLIV Number 9. 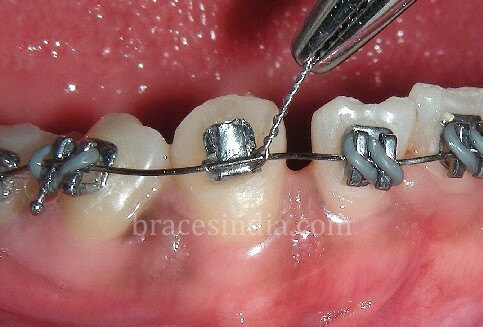 It is easier to bond an MPA in places where it is difficult to bond a bracket. 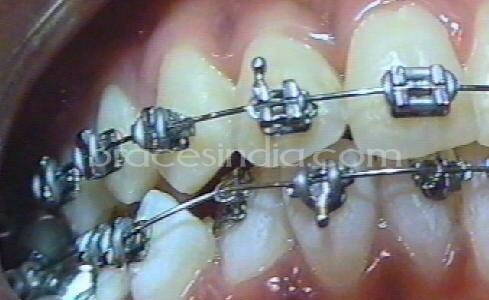 It causes minimum occlusal interference. It causes minimum trauma to the oral tissues since it is thin. 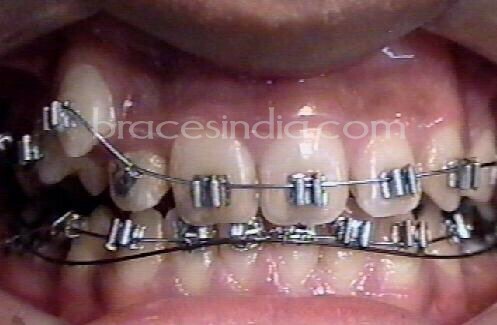 It helps in reducing treatment time as it can be bonded earlier than a regular bracket where bonding a regular bracket in correct position is difficult or uncomfortable for the patient. It can be used in different clinical situations. It can be used as labial and lingual appliance with 2-D control. 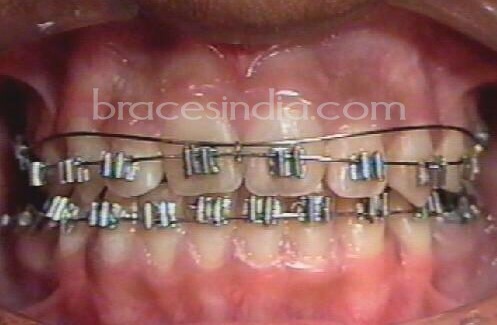 In many clinical situations bonding or banding a bracket or a tube onto a tooth is difficult for the orthodontist or it is uncomfortable for the patient due to occlusal interference or trauma to the oral tissues. Bonding a bracket or a lingual button on the palatal surface of an upper canine can interfere with the lower canine in deep bite cases. 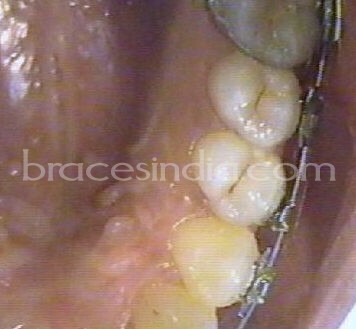 Bonding a bracket onto a surgically exposed tooth may cause tissue irritation and ulceration particularly with high buccally placed impacted canines. Bonding a tube on the buccal surface of an impacted second molar may be difficult if the buccal surface is not exposed sufficiently; or if a tube can be bonded, there may be occlusal interference and injury to the buccal mucosa due to mastication and impingement. A Multi-Purpose Attachment - MPA can be used in all the different conditions described above as the thickness of an MPA is very less as compared to the conventional brackets and tubes. The attachment can be bonded onto a tooth keeping the lumen incisal if there is no occlusal interference with the opposing tooth. 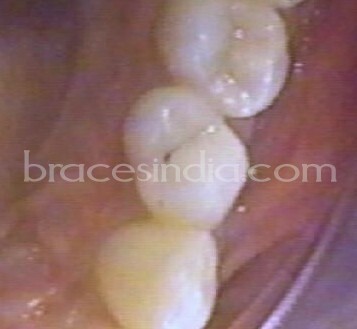 There are chances of the lumen getting crushed or flattened if there is an occlusal interference. 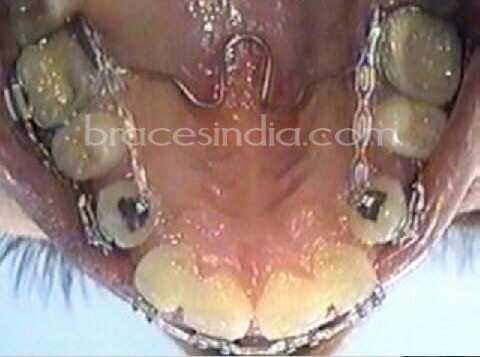 In such a condition the lumen can be kept gingival and the attachment can be bonded as incisal/ occlusal as possible. 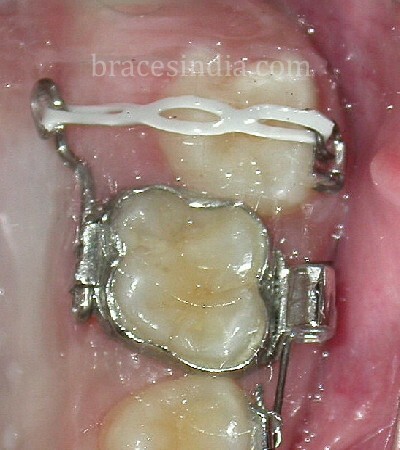 The height of the attachment can also be reduced. Single Tie - One end of a small piece of ligature wire is passed through the lumen of the attachment. It is then passed under the arch wire on the other side, twisted around the other end, cut and tucked in. This tie can be given for aligning and leveling a tooth. Double Tie - One end of a small piece of ligature wire is passed through the lumen of the attachment. 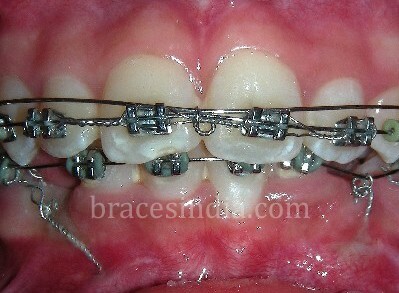 It is taken labial to the arch wire on the other side and reinserted into the lumen from the same side. After pulling out completely to the side from where it was inserted earlier, it is twisted around the other end of the ligature wire, cut and tucked in. This tie can be given to correct rotation and to upright a tooth. 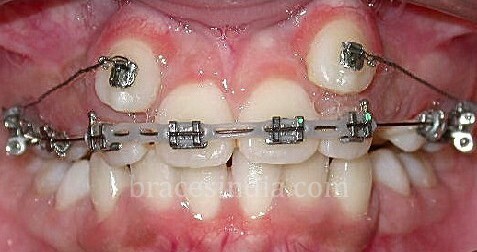 When the crown of a tooth is not exposed enough to place a bracket, an MPA can be bonded initially. 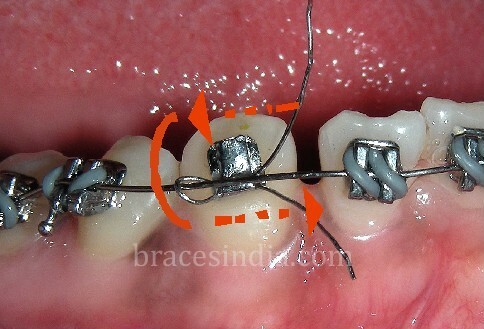 Once crowding is relieved, a bracket can be bonded after debonding the MPA. 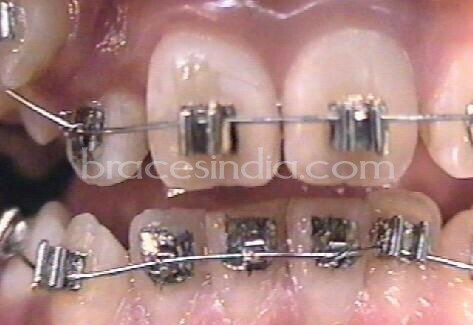 In case of rotation also it may be difficult to place a bracket because of interference with an adjacent bracket or tooth. An MPA can be bonded in such a case. 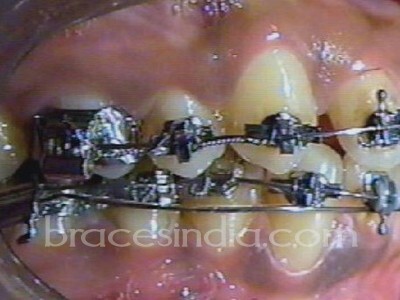 Usually a NiTi wire is in place, which can get deflected to some extent and the tooth gets derotated over a period of time due to two point contact of the ligature tie on the main arch wire. 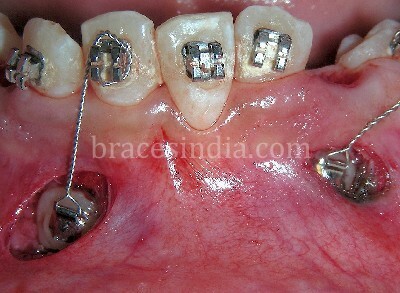 Correction of cross bite of one or more teeth with brackets would require a bite plate to disocclude the teeth in cross bite, or else the brackets may debond or the patient would be uncomfortable. 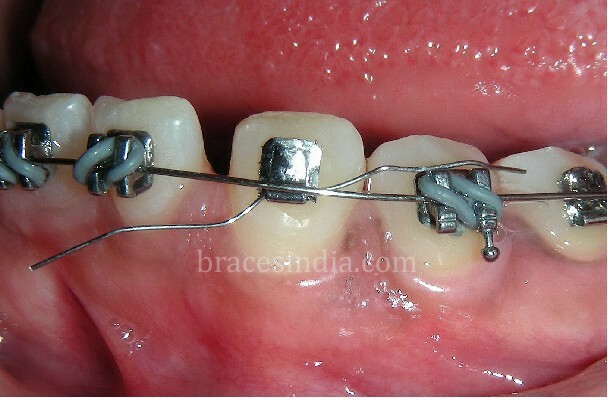 In such a case an MPA can be bonded as incisal as possible on to a tooth in cross bite and the main arch wire can be tied to the attachment to get the tooth into alignment. 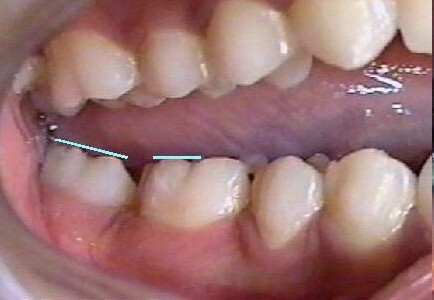 If the deep bite is more than 3 to 4 mm then a posterior bite plate may be necessary, until the tooth in cross bite crosses over the opposing tooth. 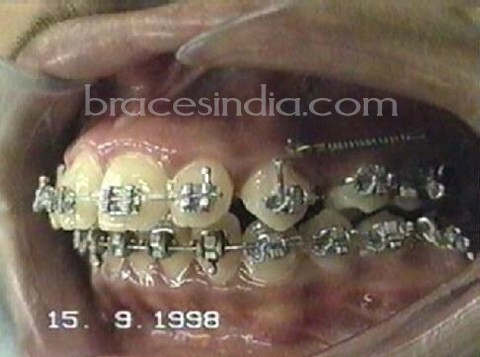 Many a times it is difficult to bond brackets on to the lower incisors in deep bite cases. Deep bite may be of a single tooth or of multiple teeth. 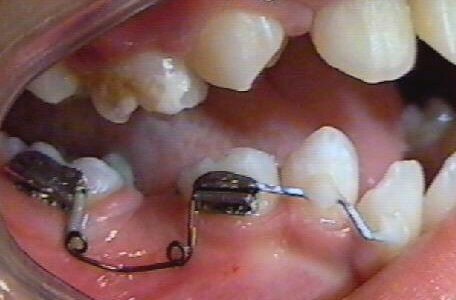 Occlusal interference with even one tooth would be uncomfortable and painful to the patient or it would cause bond failure resulting in extended treatment duration. 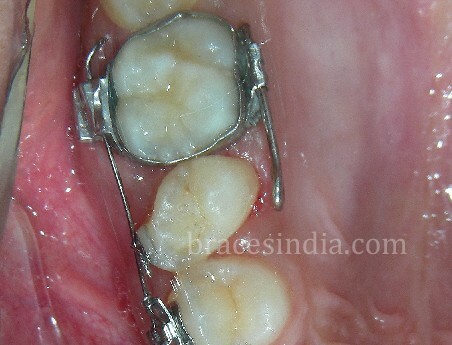 Teeth in scissors bite can also be corrected with this attachment. 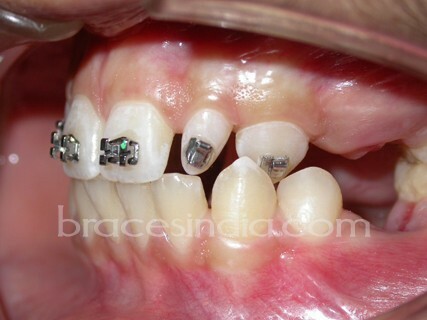 An MPA can also be bonded on to a peg shaped tooth or any narrow tooth to maintain it in alignment. An MPA can be bonded onto the occlusal surface of a tooth with a small clinical crown and brought into alignment. 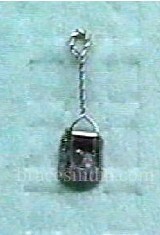 A hook can be made by twisting the strands of a piece of ligature wire after passing it through the lumen of the attachment. 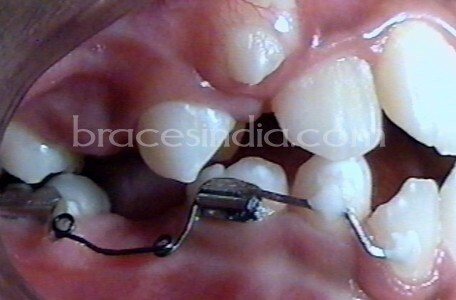 Even if the tooth gets covered by gingiva after some time, the hook remains out and can be used for tying ligatures or elastomerics to the main arch wire to get the tooth in occlusion and alignment. As the tooth erupts, the hook can be shortened by cutting and bending it. An impacted lower second or third molar can be corrected by bonding an MPA and giving a spring which distalizes and uprights the molar. A mesially tipped permanent first molar can be uprighted to allow the eruption of an impacted second premolar. 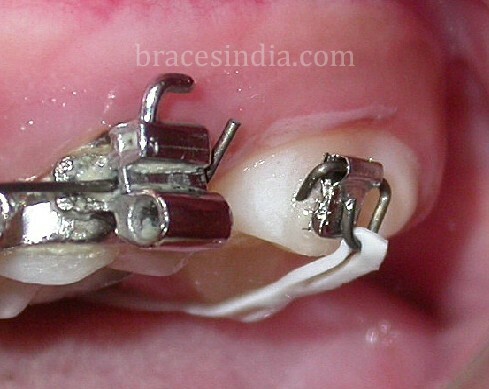 A rectangular SS wire can be welded to an MPA and bonded onto the adjacent teeth for additional anchorage. 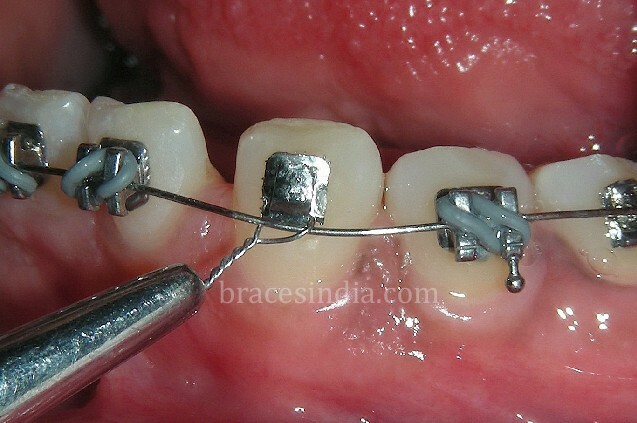 An MPA can be used to correct second molar crossbite by tying an elastomeric ring or chain to a modified TPA or to a hook. 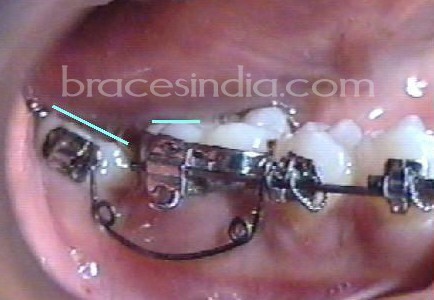 In some cases, a palatal attachment is necessary on upper canines. 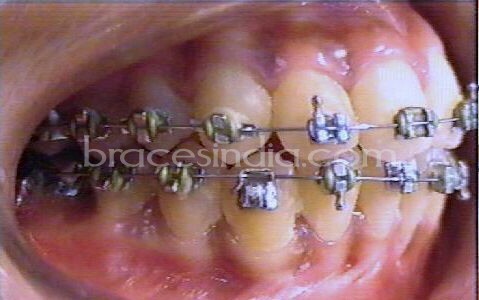 However the lower canines may occlude and impinge on a bracket or a button bonded onto the palatal surface of upper canines, because of its thickness. An MPA would be much more comfortable to the patient and would be less resistant to tooth movement, as it is very thin labio-lingually. MPAs can be used as lingual appliances with 2-D control for aligning and leveling teeth. They can also be used as lingual attachments for derotation of teeth. 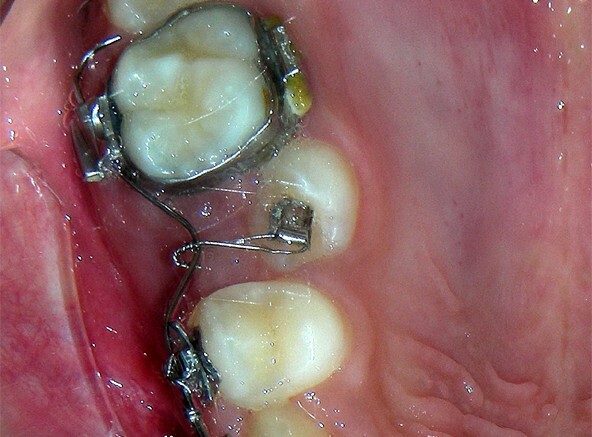 MPAs can be used with twisted ligature wires as bonded retainers. 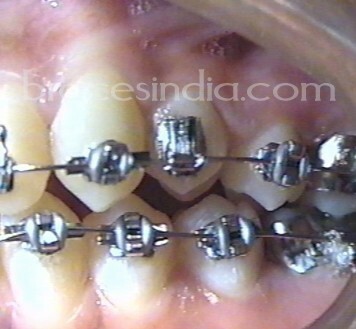 Vashi, Nikhil and Vashi, Bhuma: Multi-Purpose Attachment for Direct-Bonded Lingual Retainers, J. Clin. Orthod. 44:550-551, 2010.